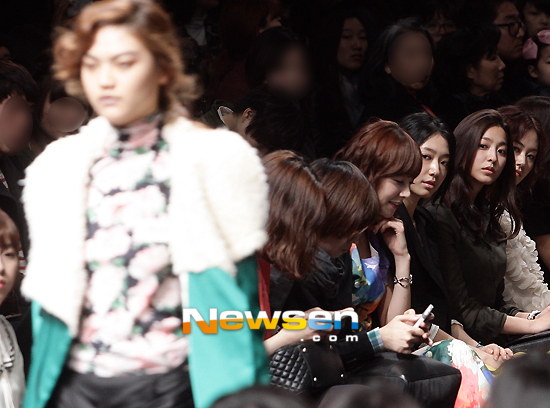 This week is Seoul Fashion week and Park Shin Hye was spotted at the Fall/Winter collection by 'Jain Song." She sat with fellow 'Heartstrings' actress, So Yi Hyun. with so many beautiful actress from korea, shin hye always standout, not for her beauty but for her charm..